Mr Meng Hongwei, China’s vice-minister of public security, as the president of Paris-based Interpol’s executive committee. (TibetanReview.net, Nov12, 2016) – Knowing Beijing’s propensity to pursue overseas dissidents with false criminal charges, human rights organizations have expressed concern over the election of Mr Meng Hongwei, China’s vice-minister of public security, as the president of Paris-based Interpol’s executive committee at a meeting Nov 10 in the Indonesian island of Bali. Chinese state media Nov 10 called Meng’s election a boost to Beijing’s domestic anti-graft crackdown, reported Reuters Nov 10. 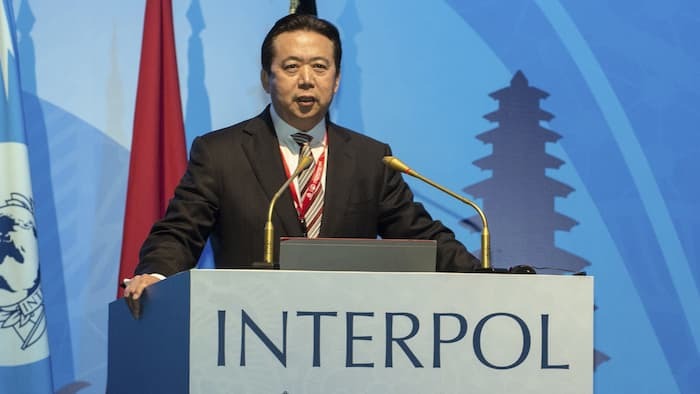 Duan Daqi, another Chinese national, is currently an Interpol vice president; his term ends in 2018. The international police liaison organization has no law enforcement powers or officers of its own, but acts to share information between police forces around the world. It communicates so-called red notices between members that request a suspect who has crossed an international border be arrested and deported. China has got the Interpol to issues such notices against political dissidents, including the Uyghur human rights activist leader Mr Dulkun Isa who fled his homeland in 1997 and now lives in Germany where he became a citizen in 2006. Interpol’s charter forbids it from being used in cases of a political, military, racial or religious nature. However, some governments have sought to bend those rules to harass dissidents and opposition political figures. Noting China’s record of pursuing dissidents abroad, human rights groups have expressed concern at Mr Meng’s election, reported ft.com Nov10. Mr Meng will head the Interpol for a four-year term. Its executive committee meets three times a year and sets organisational policy and direction. It comprises a total of 13 members from around the world. However the organisation’s most powerful figure is secretary-general Jurgen Stock, a German police official.